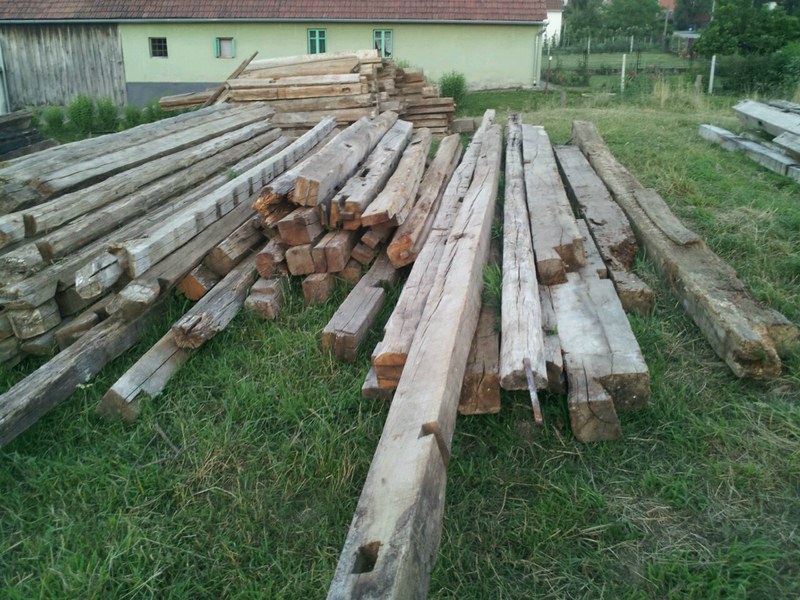 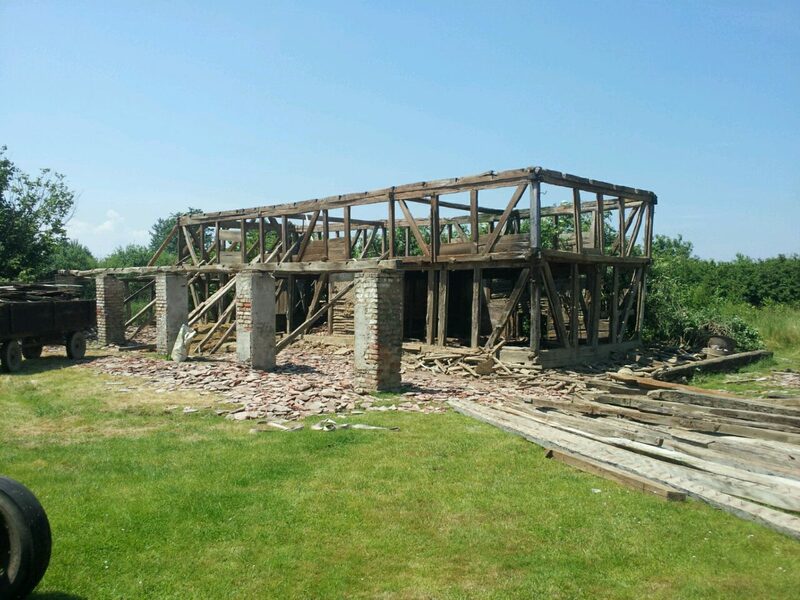 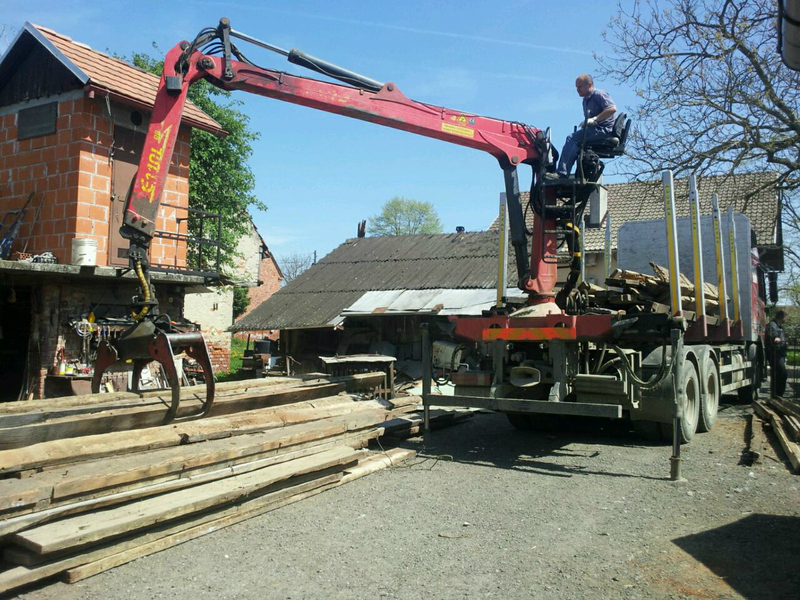 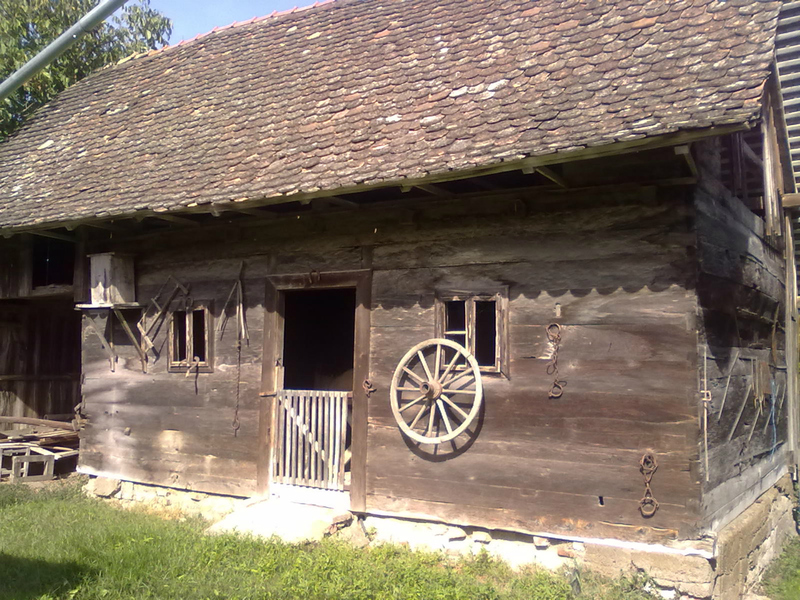 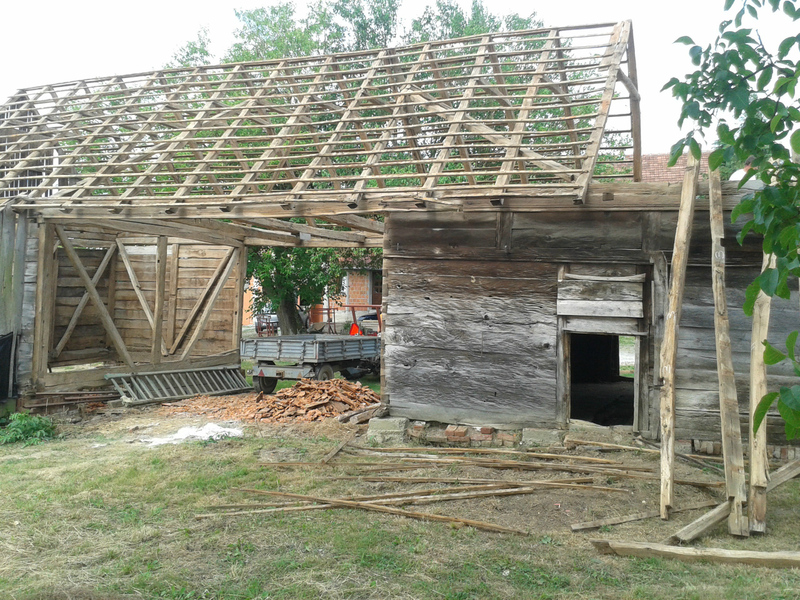 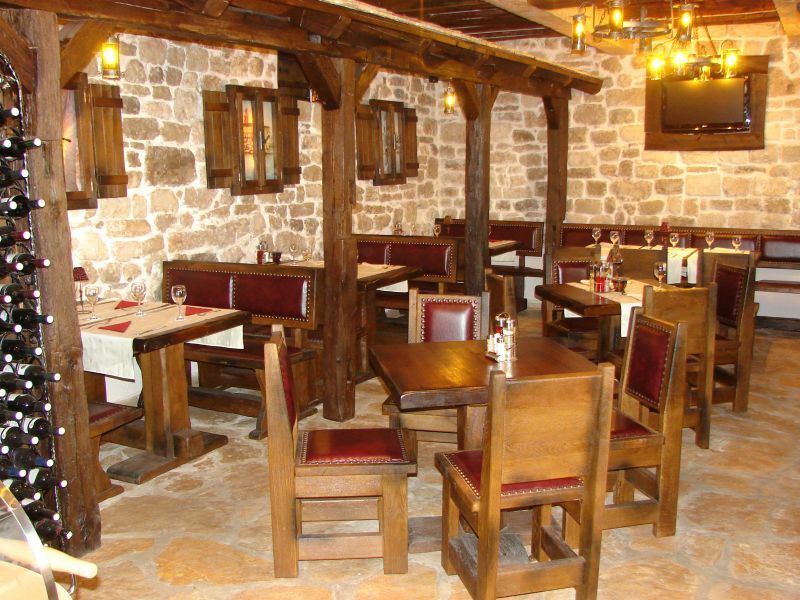 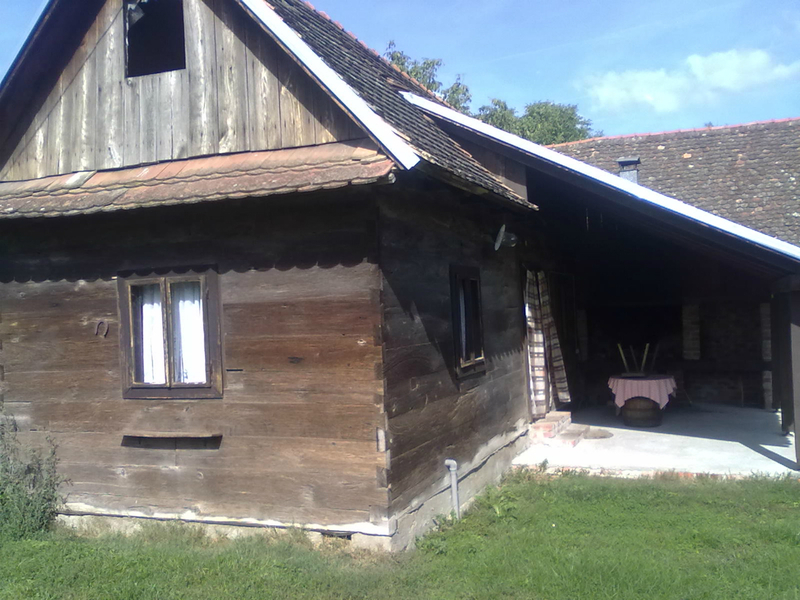 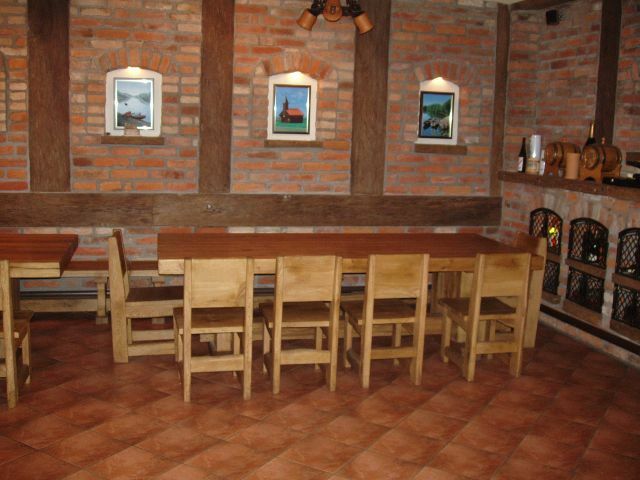 Our reclaimed oak beams and planks/slabs come from highly respected Croatian block houses in which people lived in and raised their families in for centuries. 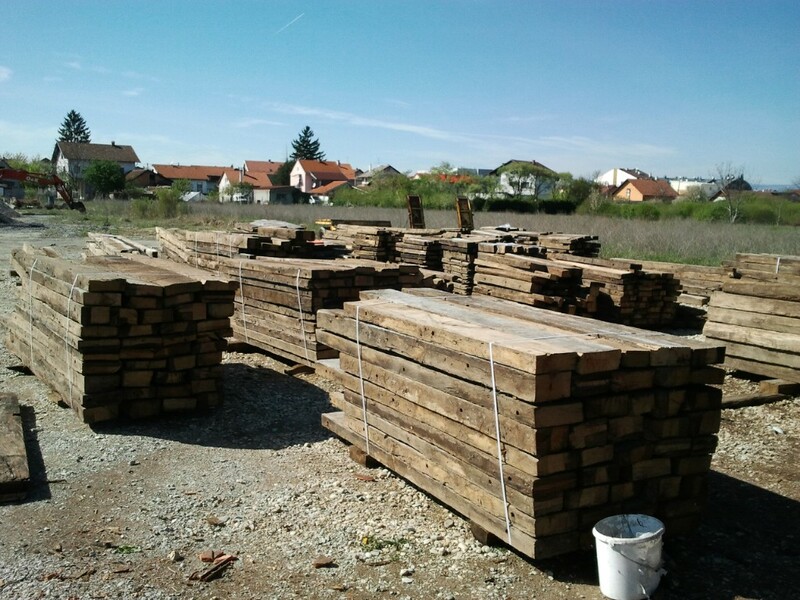 Its extensive history and perfect climatic conditions are just some of the factors that make this kind of material among European’s best quality. 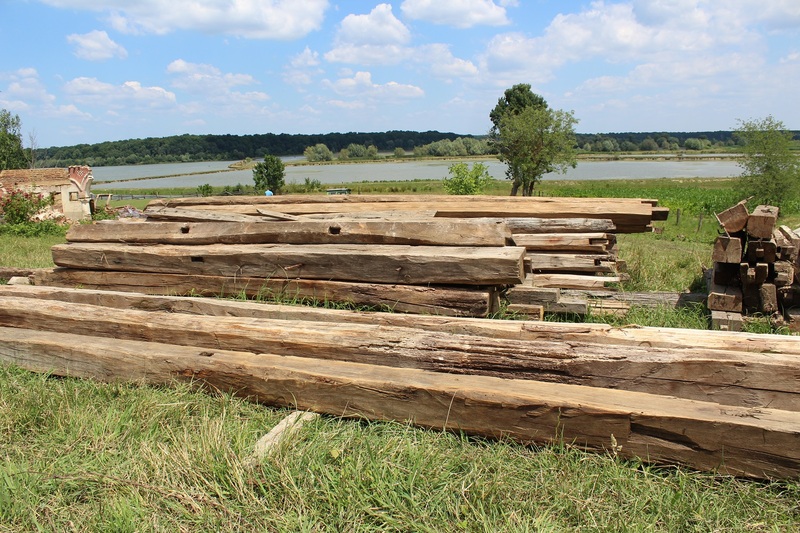 These antique gems at Generis Woods mean more to us than just that. 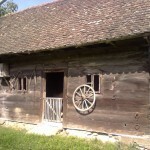 For us, they are beauty, art, history, and culture. 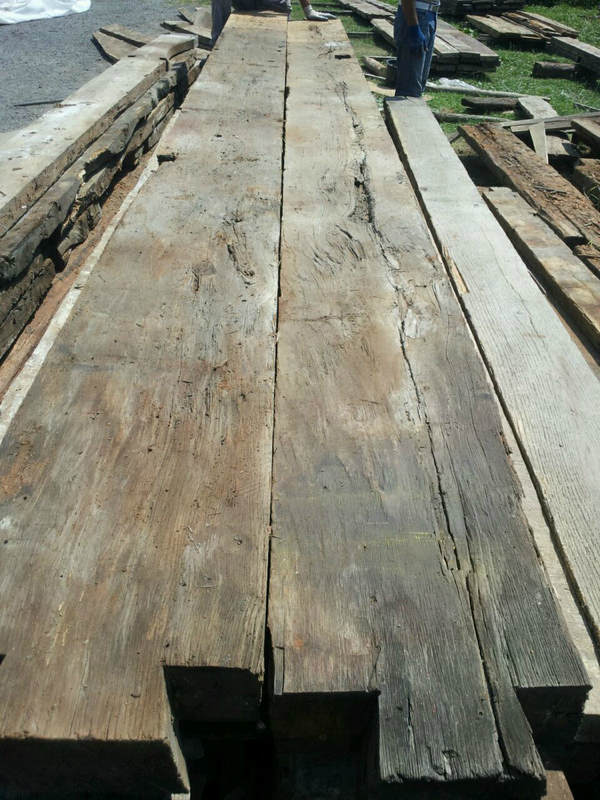 In order to restore this beauty, along with a highly dedicated team, we use an extensive process that involves lots of work into restoring this kind of wood to the best of its ability. 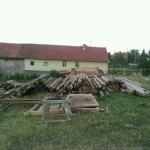 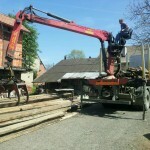 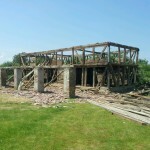 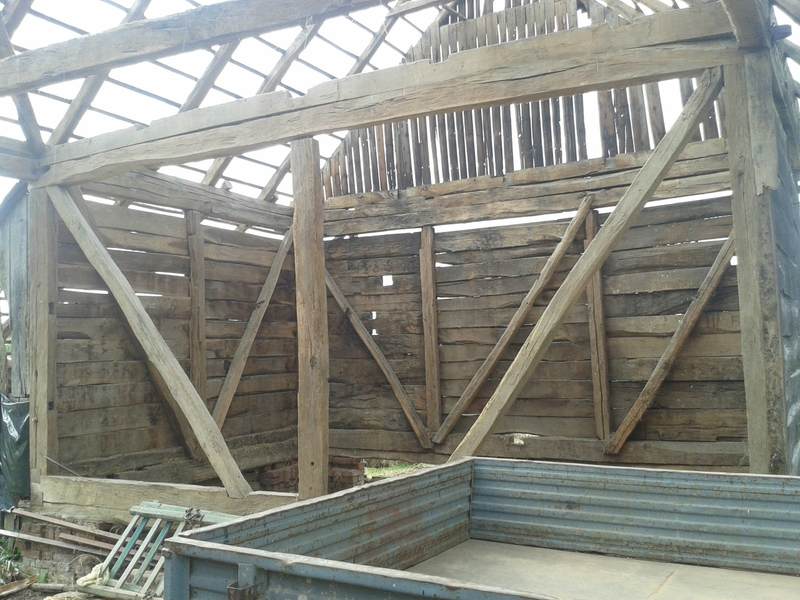 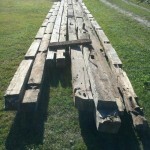 Our mission is to provide top quality beams and planks that are waiting to be put back to life once again. 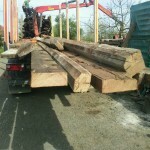 Our oak beams come in many different sizes and lengths. 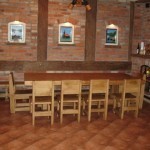 They are best suited for reclaimed flooring, interior designing, and furniture making. 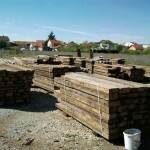 The most common sizes found range from 10 cm x 10 cm to 30 cm x 30 cm in width and are up to 15 m long. 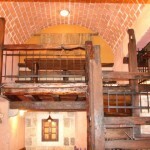 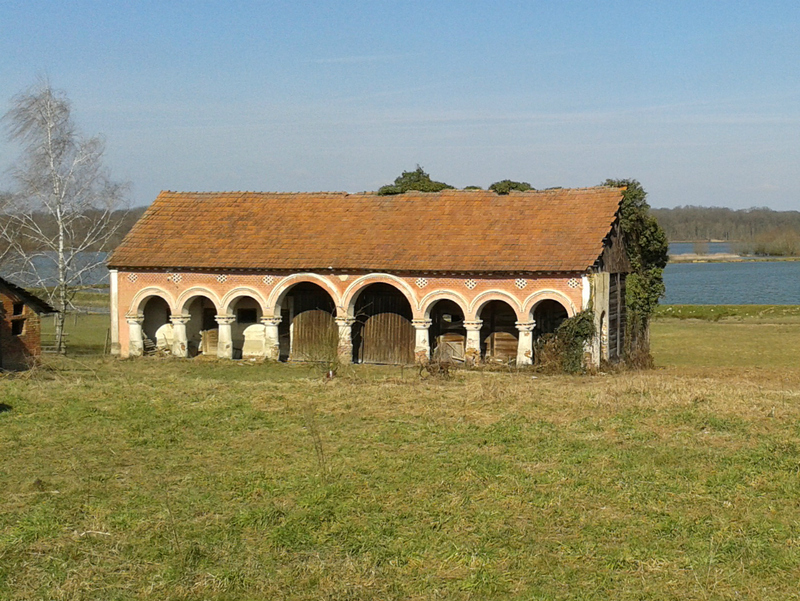 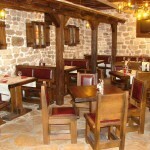 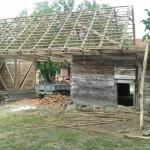 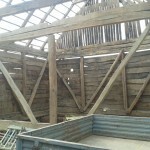 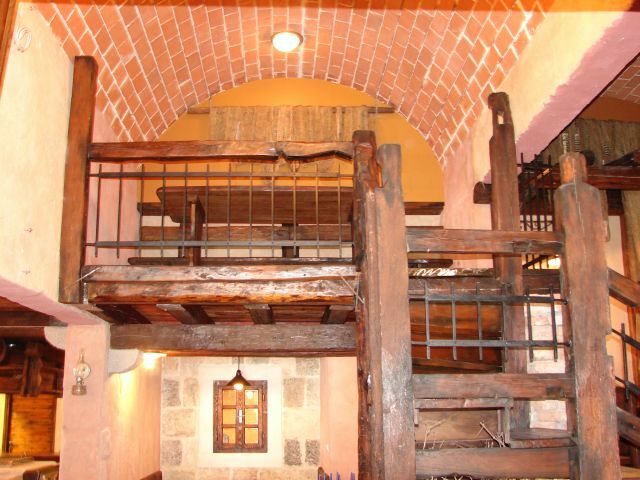 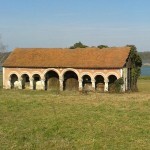 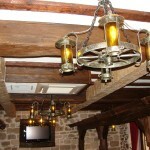 They as well come in different shapes which are 4 sided hand-hewn, 2-sided hand hewn, and original rough sawn beams. 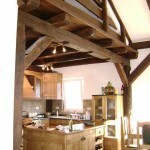 We as well provide resawn beam shapes. 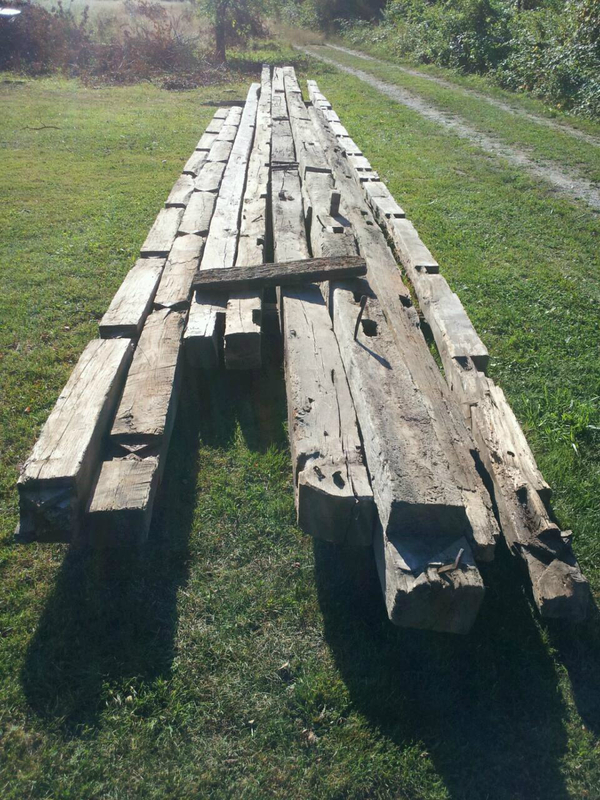 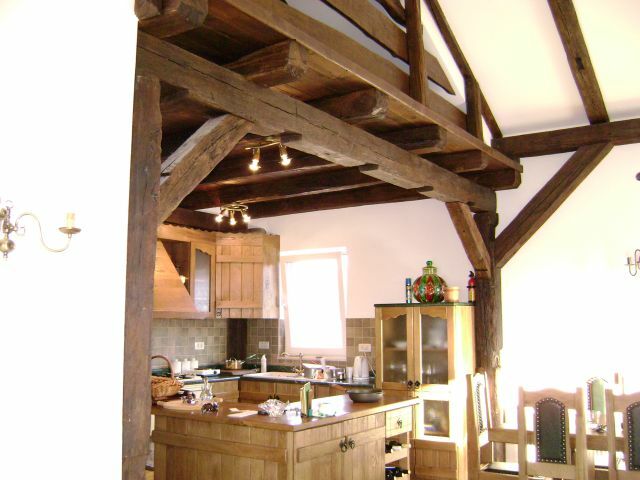 At Generis Woods, we offer full preparation services of our reclaimed oak beams, including wire brush cleaning, sand-blasting, waxing and anti infestation treatment. 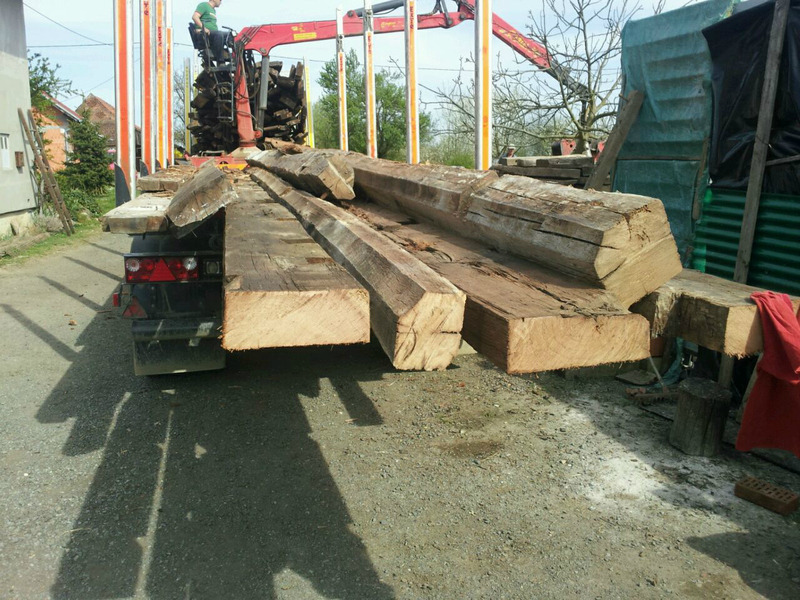 The original dimensions for planks that we have usually come in anywhere between 6 cm thickness to 12 cm thickness (we have a few planks that are 15 cm thick), as the width is between 15 cm to 35 cm and the length is from 1 m to 8 m ( some of them are even longer than that). 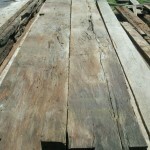 Reclaimed oak planks, similar to beams, are best suited for reclaimed flooring, interior designing, and furniture making. 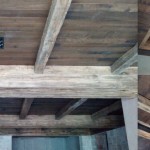 Most of our planks have been used as the most outer wall of a house and because of such exposure to the outside environment, one surface has developed differently than the other. 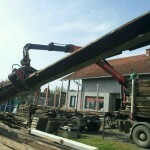 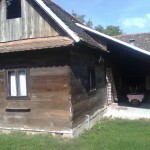 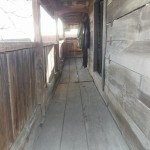 For example, the surface of the plank that has been exposed to the outside environment may have less hand hewn characteristics than the inside surface. 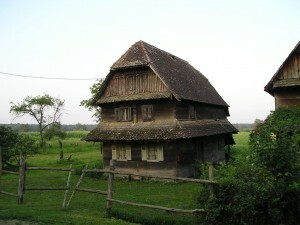 It may be more straight in texture while its patina can range from dark brown, brown, gray, or almost black depending on the climatic conditions and position the house has been in. 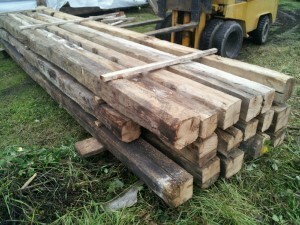 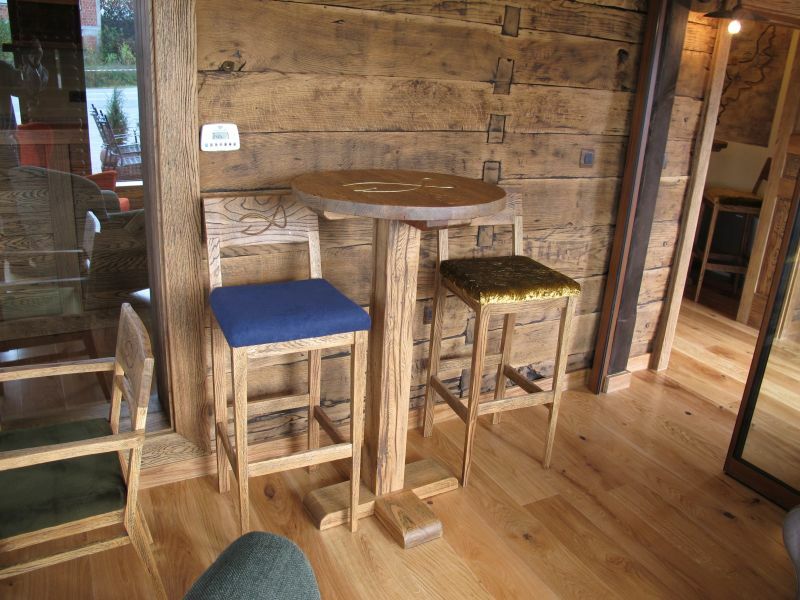 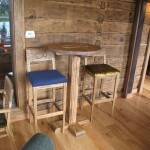 Furthermore, we offer full preparation services of our reclaimed oak planks as well. 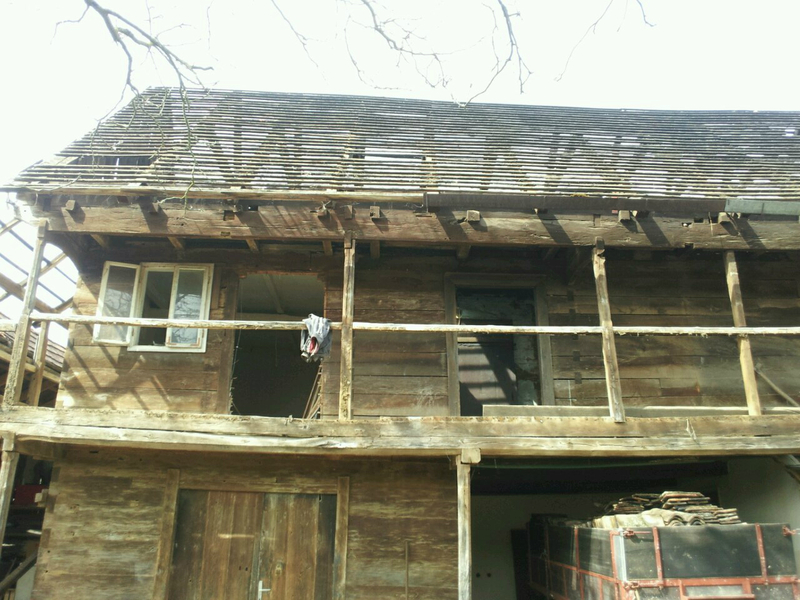 The first step that we take in this extensive process after taking apart the houses carefully is de-nailing them. 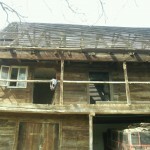 Over the years, these houses have been through many nails, hinges, bolts, and wiring. 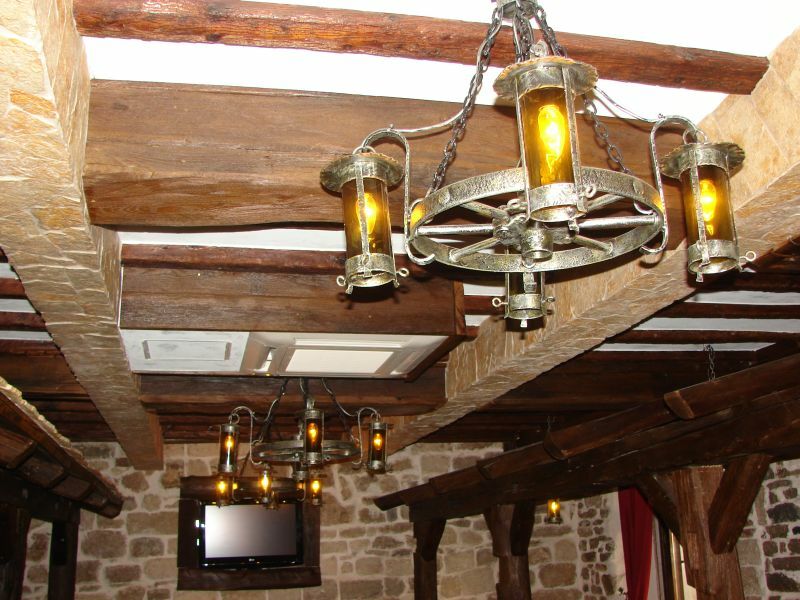 With the help of our metal detectors, we remove everything sticking out from the service and underneath it in order to ensure smooth texture for further preparation. 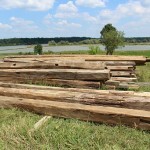 All our collected beams and planks are custom cut and shaved according to desired measurements. 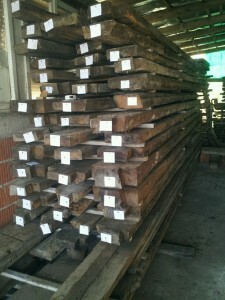 They are further used for flooring blanks, beam wraps, or posts. 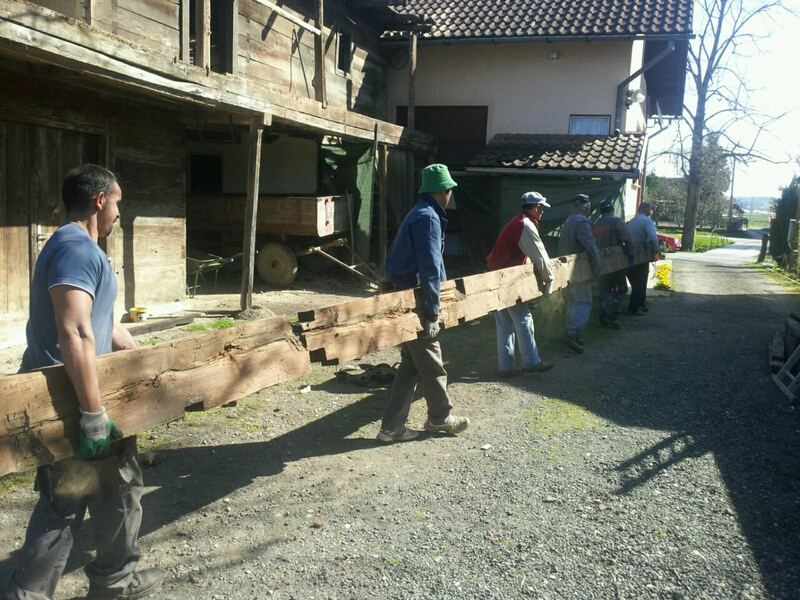 In order to personalize our projects more, our beams and planks are available in large dimensions and sizes. 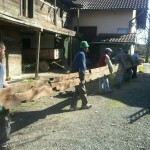 Next, our recycled wood goes through a brushing process. 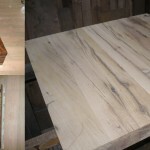 This process ensures the wood gets the texture and the smoothness needed for final steps. 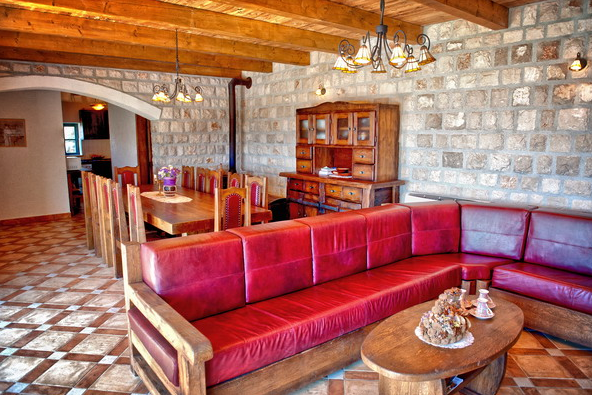 Brushing cleans any kind of leftovers such as dirt, removing both bristles and slivers for ensured quality purposes. 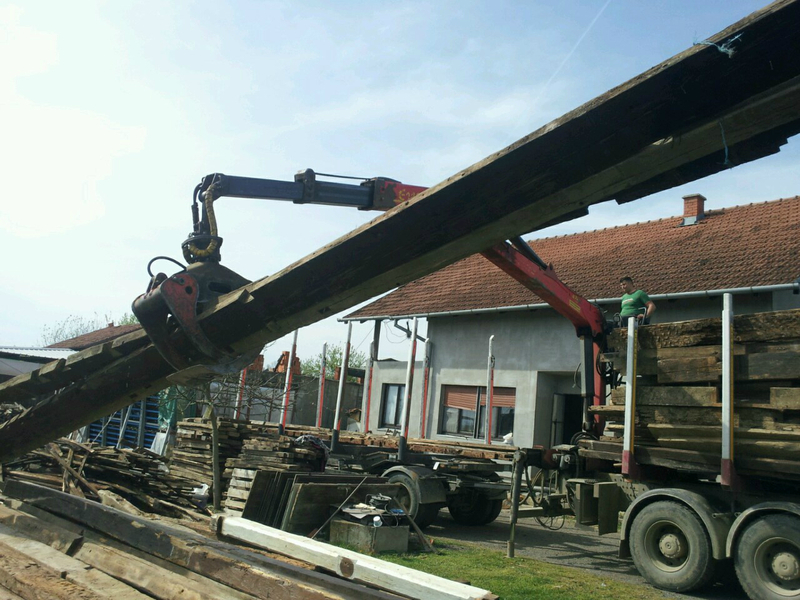 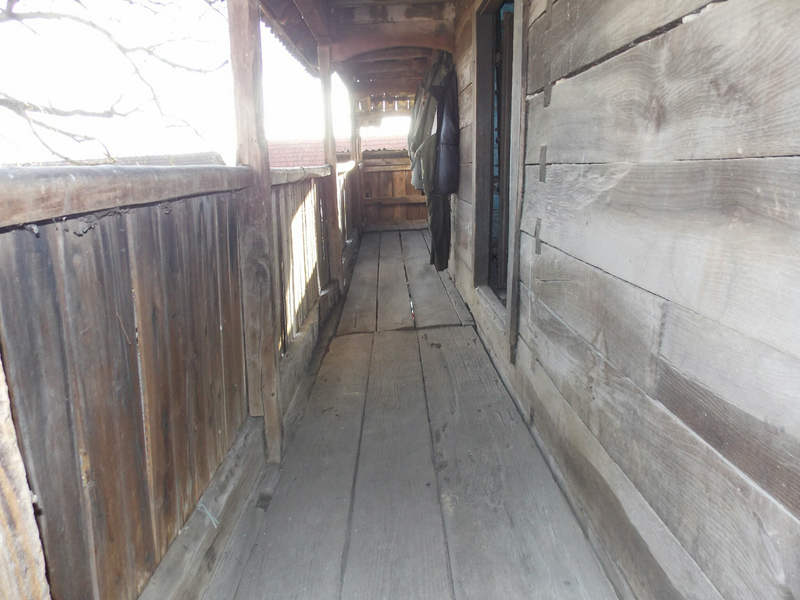 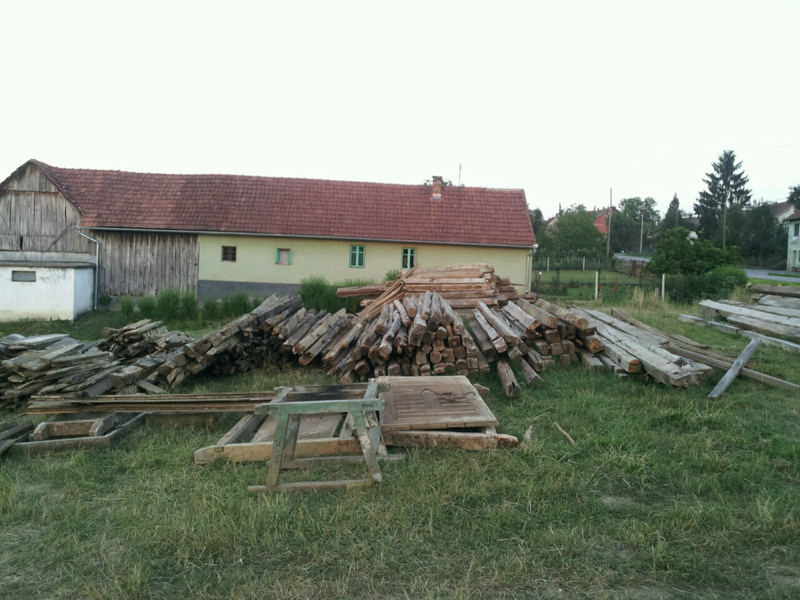 After our insect treating process done by fumigation or thermo treatment, our antique wood is ready for shipping. 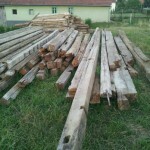 Our material can be processed as a semi product, final product, and material used for factories.